As known, Honda Tiger is no longer manufactured by PT. Astra Honda Motor (PT. AHM). However the owner of Tiger is still a lot in Indonesia. Even there are some owners who make modifications due to feeling bored with the standard look. It is also felt by one of the owners of Honda Tiger named Muhammad Sobron. He wanted the 2006 Honda Tiger that belonged to him changed dramatically into a different and unique figure. After making modifications in Workshop BIM and Zoel Garage located at Jl. Tanjung Rema Ruko No. 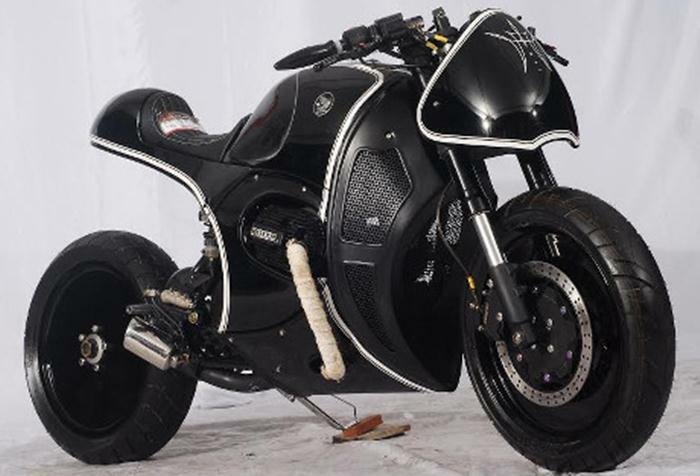 04, Martapura, it gives birth to the figure of a futuristic black colored motorcycle with a little touch of café racer. The concept of modifications made by the builders gave the appearance of beauty café racer and combined with the custom made body plate. The motorcycle looks is more interesting and impressed more dashing after wore in black colored suit. Does not end there, if seen it from the front and your eyes will be pampered with a headlamp designed special and memorable. While its body made to cover the engine parts and strengthen the stout impression. 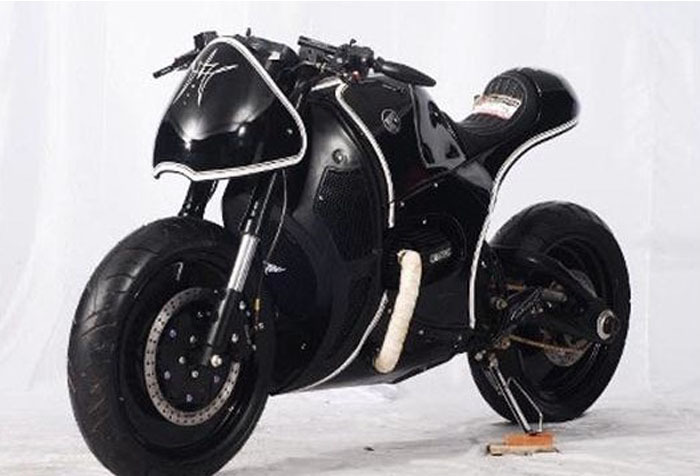 In order the modified result more handsome, the display of fuel tank, seat and its aft section deliberately designed to thicken the luxury impression. For its machinery parts, it seem does not have many changes. there is the exhaust duct on both sides of the motorcycle looks out and went back into the body and finally ended at the exhaust vent. In addition, it also embedded the cooling wrapper served to reduce the heat. "We deliberately did not change the engine because the rules as such. I am also very satisfied with this modification, although not yet a champion and only became the 2nd and did not brought to Yogyakarta. And we also prove even the small engine motorcycle which uses inexpensive materials, but our design is not inferior to the the world class modification results," said Muhammad Sobron proudly. Because it has a charming looks, not surprising this motorcycle modification result was awarded the "Best Engineering" at the first series of Honda Modif Contest 2015 in Banjarmasin, South Borneo.